On this Palm Sunday we begin our Holy Week walk with Jesus who loved us so much as to embrace death on a cross. This is the week for us to reflect on the gift of that sacrifice for love of each one of us. Jesus' triumph over death guarantees our own resurrection and that is a tremendously loving gift. In our Scriptures, Jesus instructs the apostles and prepares his triumphant donkey ride into Jerusalem. Jesus' followers somehow have eyes to see and they worship him as King crying Hosanna. How can this happen we might ask? God is made manifest and humanity responds to grace and recognizes the presence of God. That element of the Divine intervention continues to happen even now. Are we open to seeing God incarnate in our lives or are we too busy about other things? Take some time this week to enter into the silence of your heart and notice, perhaps God will surprise you overwhelmingly. 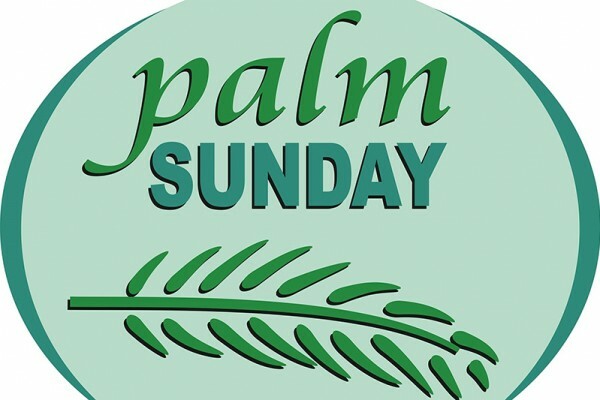 An account of the Lord's Passion is also a part of Palm Sunday liturgy. We see many different characters presented in their humanness and can identify with them. Pray for the grace to be faithful to our covenant relationship with our God by choosing to love God and our neighbor as ourselves each day.